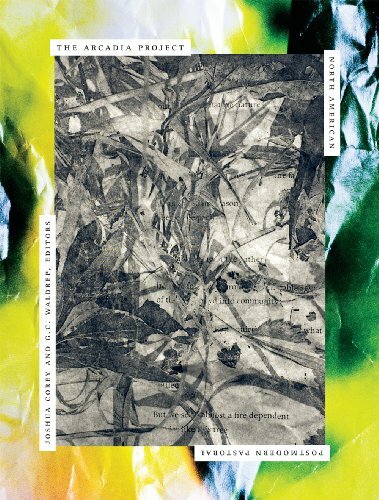 An anthology of innovative nature poetry edited by myself and G.C. Waldrep, published by Ahsahta Press (2012). Visit http://arcadiaproject.net for a table of contents, a teacher's guide, and other stuff. This hefty and gorgeously designed anthology offers an unusual take on pastoral poetry, which might be defined as poems humbled by nature. The editors of this book gathered nature poems from contemporary experimental poets, many of them under 40 years old, to present the natural world through the eyes of, as Corey says in his introduction, “a digital native with dirt between one’s toes,” representing a movement in poetry toward what is sometimes referred to as “ecopoetics." .... This could be the rare poetry anthology that sticks. This is radical and needed and terrifying and—whoa, who would’ve thought?—a hell of a lot of fun. By which I think I mean: stimulating, and startling, and diverse enough to take up almost 550 pages with spinning, vivid, yelling, moaning, laughing, observant poems.